Thank you Theresa for having me over! I’d love to share with you a frugal craft idea: crafting with pasta! Now you can colour pasta like Happy Hooligans or Life over C’s, but for this project we chose to paint it. – Pasta, any shapes/sort. The more variety, the more creative the kids can be (We only had these three types at hand the day we made this). – Cardboard. 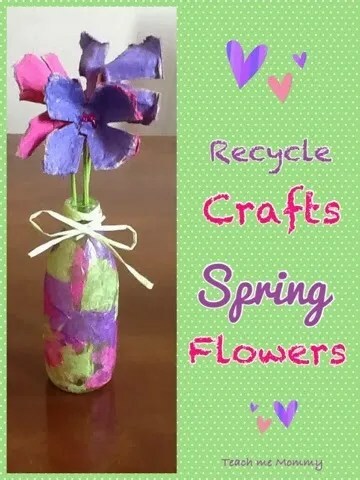 It can be out of your recycling bin too, the sturdier, the better. – Glue. We’ve used a white wood glue, but any strong glue can work. – Before using the glue, play around with the pasta and pack out the idea you have, thus plan your picture. 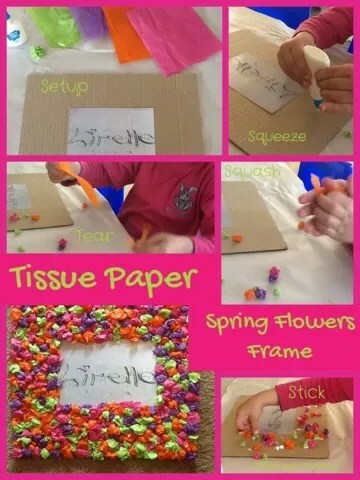 When assisting children with this activity: talk about the different shapes they see, and what shapes and pictures they can make to enhance the learning process. Young toddlers will not have the ability to plan. You can use this activity as an open ended activity, thus let them just experiment with sticking the pasta down. Or you could give them more guidance, for example draw shapes which they have to fill, or make markers where they have to place certain pasta shapes. – When you’ve decided on a picture, and packed it out to see if it will fit on your cardboard, leave it like that and one by one pick up the pasta pieces and glue them down. – When done pasting, paint the pasta carefully and let it dry. Add more to the picture if you want. – We’ve added a pasta frame and ribbon to finish off the picture. This could make a lovely Mother’s Day gift! Nadia is a teacher turned mommy to an almost 4 year old girl and 15 month old boy. She blogs over at Teach me Mommy about easy and playful activities with the aim to teach. You can also find her on Facebook, Twitter, Pinterest, Instagram and G+, she would love to connect with you! Teach Me Mommy did an amazing job. I hope some lucky Moms receive these for Mother's Day now that she shared her tutorial.